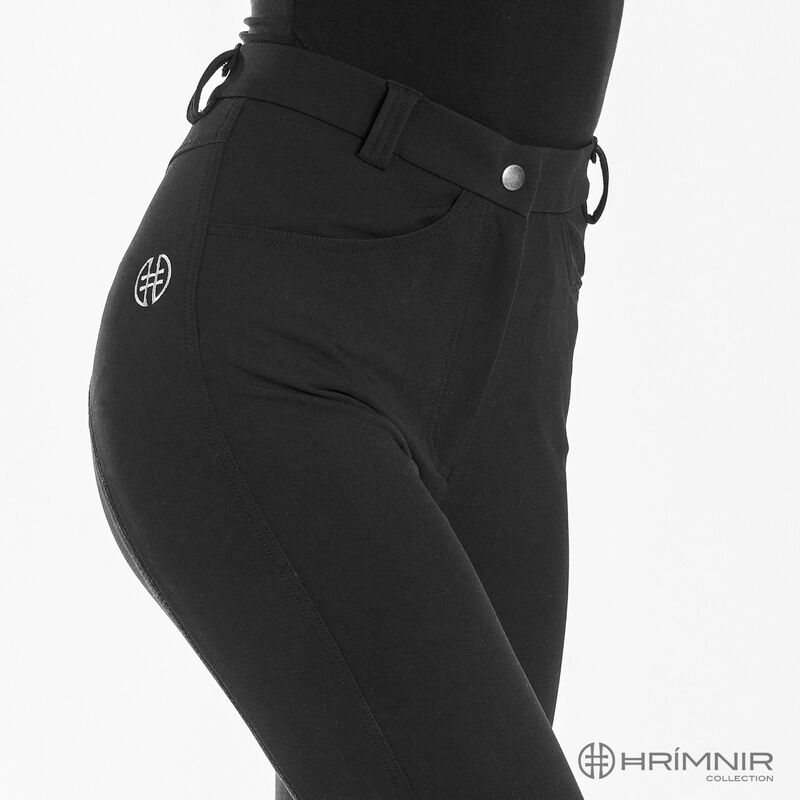 These breeches were designed to meet the needs of riders in extrem conditions. They offer superior comfort and ease of movement due to their 4-way-stretch material with moisture control. They are water-repellent and light-weight and can therefore be used all year round. 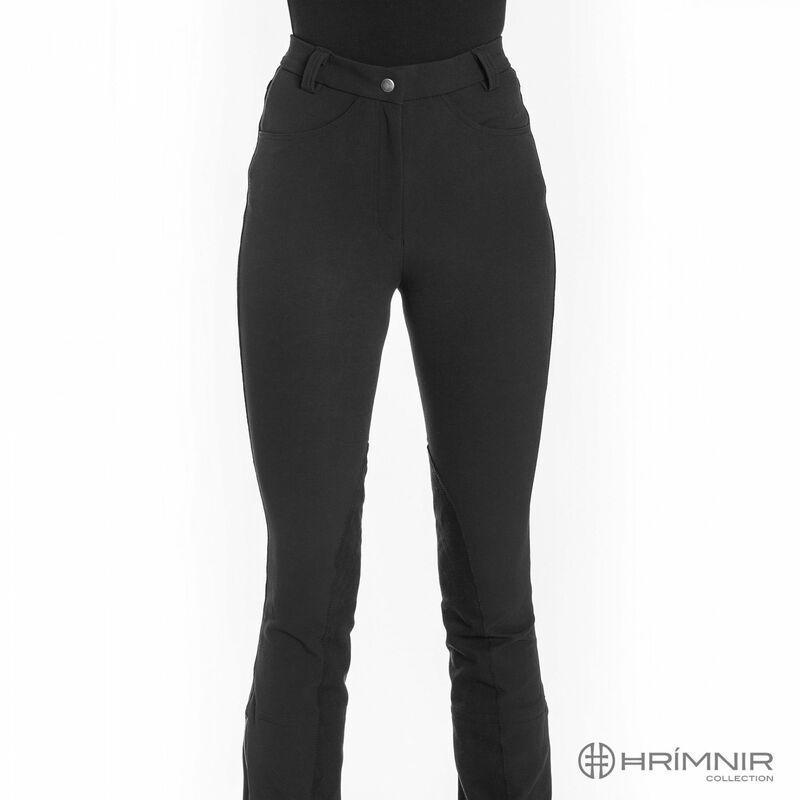 These breeches feature a classical cut with a medium high waist, an elastic waistband and a robust YKK-zipper. They have three beltloops (one X-shaped on the back) and two spacious insertion pockets on the front. 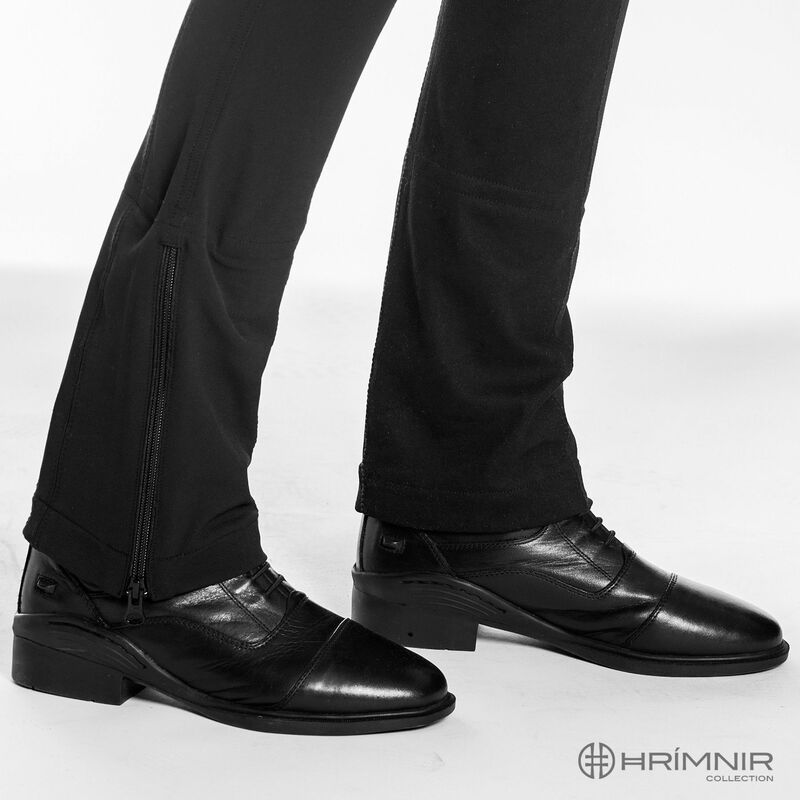 The zippers down at the bottom of the leg enable optimum fit and comfort. The foot straps prevent the slightly flared trouser legs from riding up when on horseback. Bluesign®-approved offers the highest level of consumer safety by employing methods and materials in their manufacture that conserve resources and minimize impacts on people and the environment. 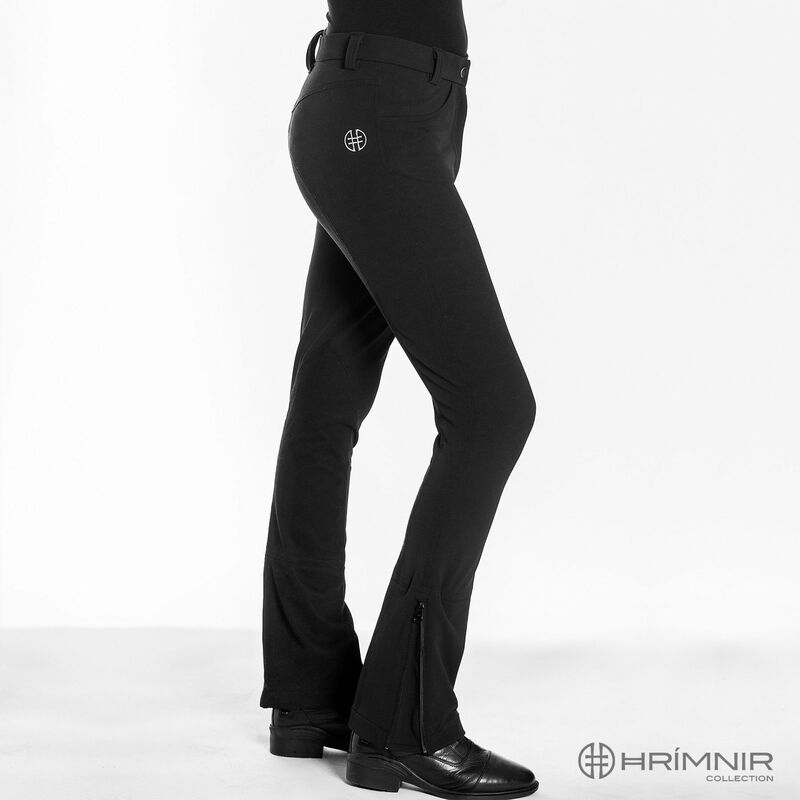 These breeches come in two lengths: normal or long. 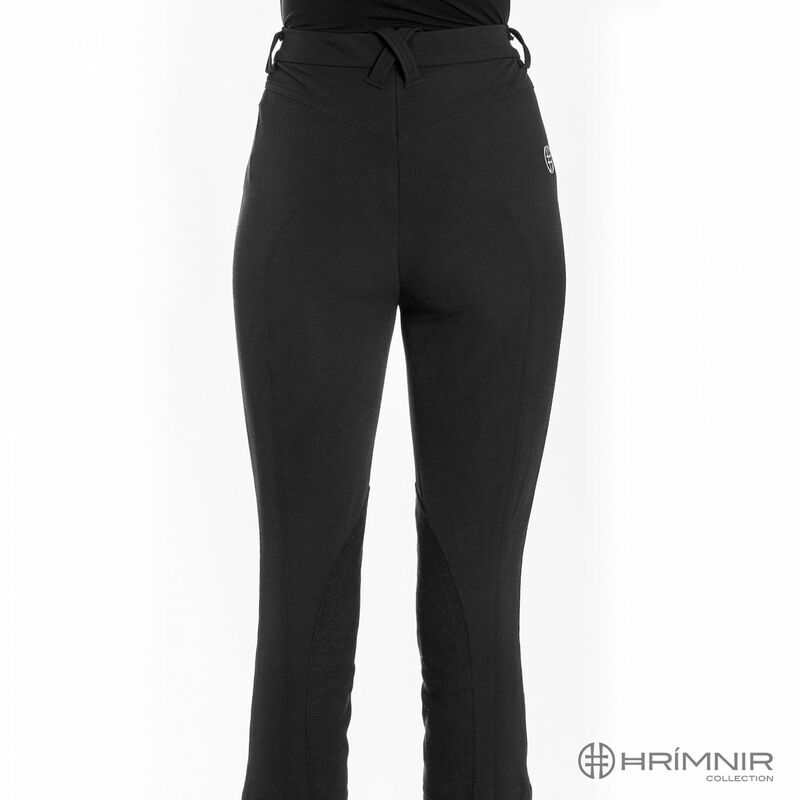 These breeches come in normal sizes, so we encourage you to order your usual size in riding breeches!